The UP120e is not shown below. It was a simple twisted pair of Neotech UPOCC copper per channel, but also included foamed teflon damping etc like the cables mentioned below. It was a very nice cable for a low watt SET system. 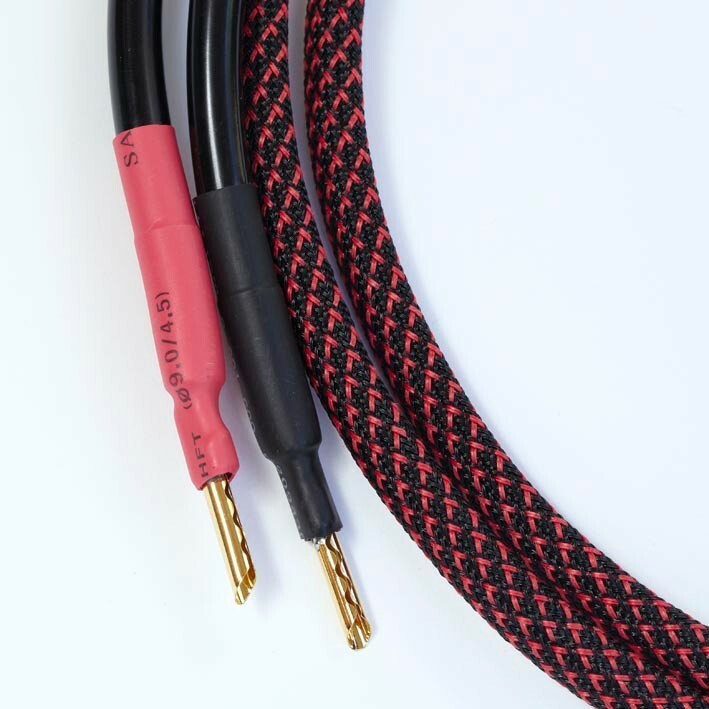 The UP speaker cables combined state of the art technology to produce a an ultra smooth sounding cable with immaculate transparency. The wire used is ultra pure continuous crystal copper in a solid core configuration. No strand or grain barriers to prevent the smooth flow and timing of the music. Insulation is PTFE (teflon) as it conducts far less of the audio signal than PVC and other polymers. Microporous PTFE (foamed teflon) is used as additional damping and insulation between the twisted pairs. This creates an air dialectric, resulting in superior definition on instruments and vocals. These are broad frequency range cables. 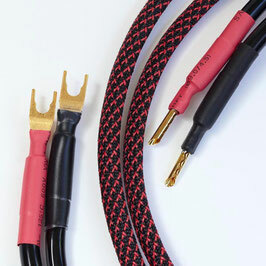 There is no roll-off at the top end and no bass smear effects which are so common in other speaker cables. Terminations: Gold over copper multi-contact banana plugs or gold over copper spades. Two twisted pairs of PTFE insulated UPOCC 20 awg solid core copper per channel. Ideal system match: amplifiers up to 75 watts per channel matched with 8 Ohm speakers. Four twisted pairs of UPOCC 20 awg solid core copper per channel. Ideal system match: amplifiers up to 150 watts per channel. However, those with very high powered amplifiers and 4 Ohm speakers should consider SP620e or UP620e cables for squeezing the ultimate bass power out of their systems. Six pairs of 20awg in each channel (Twelve wires per channel total), delivering a cable with a current capacity equivalent to 12 awg, and a broad frequency range. Ideal system match: amplifiers up to 400 watts per channel. The 12 awg solid core delivers plenty of current to get the laziest of woofers pushing out the deep bass notes.